Palm Beach State College is holding two commencement ceremonies May 9 for its nearly 2,700 spring graduates. 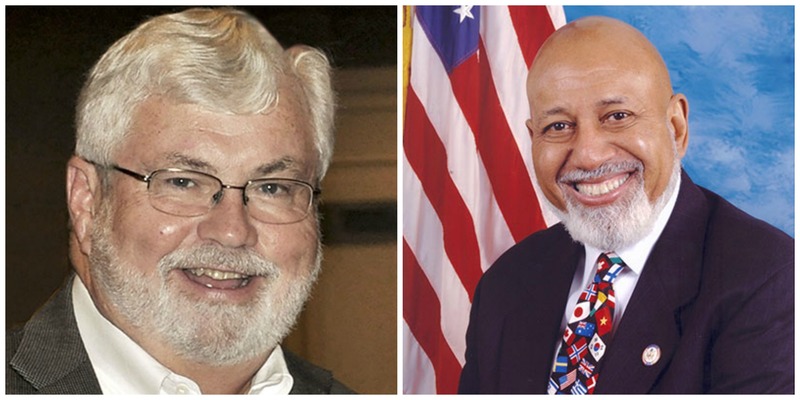 State Sen. Jack Latvala and U.S. Rep. Alcee Hastings will be the keynote speakers. Latvala, R-Clearwater, Senate Appropriations chairman, will speak at the 10 a.m. ceremony for the combined 1,092 graduates of the Associate in Science, Bachelor of Applied Science and Bachelor of Science in Nursing degree programs and the certificate programs. Hastings, a Democrat who represents Florida’s 20th District and is currently serving his 13th term in Congress, will speak at the 2 p.m. ceremony for the 1,603 graduates of the Associate in Arts transfer degree. That represents almost 60 percent of the spring graduates. Both ceremonies will be held at the Palm Beach County Convention Center. The ceremonies will be streamed live at www.palmbeachstate.edu. This year’s class includes 27 high school dual enrollment and early admission students – the largest number ever to earn the Associate in Arts degree from Palm Beach State while in high school. All but three of the students are from Palm Beach County’s public schools. Edwin Ross II, 18, valedictorian of Santaluces High School, is among the dual enrollment/early admission graduates. The aspiring corporate lawyer will attend Howard University in the fall to pursue a bachelor’s degree in business with a focus on pre-law before going to law school. He said his desire to finish his Associate in Arts degree while in high school was for a mixture of reasons: he wanted to increase his honors point average, which he says is 5.24; he wanted to save his family money on the first two years of an education, and there’s a little competition between him and his older sister, who was valedictorian of Santaluces in 2013 and also took dual enrollment classes. “I’m excited to graduate from Palm Beach State. I feel I have made a lot of connections with students I took classes with. I’ve had overall positive relationships with almost everybody, and I feel that helped me,” he said. For more information about commencement, visit www.palmbeachstate.edu/graduation.